Hey everyone … First important note … As you may have noticed, we are switching to a new web platform/blog format. So it may take a while before everything is in perfect order, though people are working hard to get everything right. Please be patient, though feedback is always appreciated. Second important note … My email has changed. It is now rbates – at – jckonline.com. The old “reed business” address is dead and gone and I am no longer able to access it, and apparently email will not be forwarded. So please, regular emailers, mark the new one, otherwise our communication will be lost in the ether. You can also reach me on facebook and linkedin. 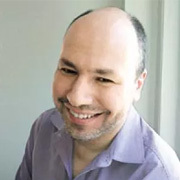 Third note-that-is-not-as-important-as-the first two … I will be speaking at the JCK Show next Saturday June 5, from 3:30 to 4:30 PM, on “The Latest On All Things Diamond” (though it will actually cover more than that.) So come by if you want to see me make many of the points I do here, just speaking really fast with a New York accent. Seriously, I love meeting my readers, so feel free to attend and say hi. In addition, we are doing a series of video interviews for the show called “JCK TV,” which can be seen on the new JCK “Community” page. I have some interesting guests lined up, and will let you know more on this as it develops. – Conference call highlights and transcript. – Analysts still mixed on stock. Vegas pre-reg up 8%. Good to hear. Fast Company: Malls are still kinda dying. – Looks like Marange will be cleared for export. – NGO: Militarization continues in Marange. As well as smuggling. And secrecy. – Neighbors still against suspension. – Government newspaper charges U.S. interference. Zimbabwe bans all diamond exports. – Ban “a ploy” by mining minister. 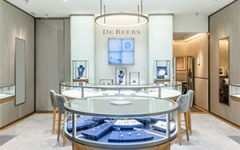 De Beers reaches out to Botswana citizens. – Says it’s “optimistic” about diamond market. Sierra Leone diamond exports up 25%. GCal passes ISO audit. Which was talked about last week. David Lamb joins World Gold Council. Antwerp diamond club election results. Florida jeweler accused of fencing. Jacob the Jeweler caught in Kenneth Starr scandal. Royal Asscher teams ups with Reena Ahluwalia, fine designer and “Diamond Shavings” reader. Sounds like a great pairing. New York Times on divorce jewelry. Highlights of Zale Conference Call. Have a great weekend, and see many of you in Vegas .. and best wishes to departing colleagues art director Todd Gast and associate production editor Cherilyn Sajorda. Those two links go to their “linked in” profiles, and anyone who is looking for a fantastic art and/or production person should get in touch with them. – Please note changed email address: rbates – at – jckonline.com.